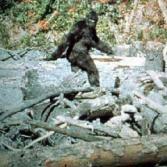 Housing’s Sideline Buyer: The New BigFoot? Summer is in full swing so I’ve got my binoculars out. The season is a great time to go hunting for elusive and not so elusive creatures. Where to start? I could go to Oregon and hunt for Bigfoot, the semi mythical hairy fellow whose existence is claimed by sighters, and believers who point to disputable evidence and blurry photos. Or I could stay home, and keep my eyes peeled for the “sideline buyers” who, according to many realtors and financial media, are ready to pounce on for sale inventory now that interest rates have spiked. Lets take a look at the evidence and facts on the ground. Mortgage purchase applications were rising this year at a decent pace. Rates were low, existing sales and new home sales were moving forward. Since May 1st, 2013 we have seen a spike on the 10 year note from a range of 1.60%-2.74% and on the mortgage rate side of the equation some products have had a 1.5% move from there. So, this was a perfect setup for the mythical sideline buyer to rush to get his purchase applications going. There has been no rush to the market on purchase applications. In fact, mortgage applications have not even held their ground. Mortgage Purchase applications have been declining and at a rate that, if this trend continues, you could see a negative figure year over year. In order to give the market a bit more time to change course, I waited until July 17, 2013 to see if the latest application report was affected by slightly lower rates this week. Was it? Not much. There was less than a 1% increase week to week from Mortgage Banker Association report. How can this be? Why are sideline buyers failing to materialize? Because in the real world where people live their lives, normal Americans aren’t charting out or following Mortgage Back Securities purchases, they aren’t following the rise of the 10 year note nor looking to see if there is a .50% move up in rates to see if they will buy a home. There is a natural flow of buyers in the marketplace, and those buyers are not jump started by the market forces many would like to believe jump-start them. Mr and Mrs Joe Family don’t usually make a quick decision to buy a home because of fluctuations in the marketplace. So if you continue to have your binoculars trained on the sidelines for your buyers, may I suggest you take a trip to Oregon to hunt the big fellows up there. Your hunt may have better fortune. Posted in Uncategorized and tagged 10 year note spike, Bloomberg Financial, Debt-to-income, Hays Advantage, Higher Mortgage Rates, Home Sales, Housing Recovery, Housing Sideline Buyer, Kathleen Hays, Mortgage Rates Spiking. Bookmark the permalink. I am a Business Insider Junkie and I have enjoyed your posts for some time.. It was not until this morning I realized that you are here in Orange County. I am so impressed with your knowledge that I am including you in my short list of Real Estate Gurus. I was with the old Mission Viejo Realty in the mid 1970s as a new home salesman. We have been appraising here in Orange county since 1979. Keep up the good work and make sure you send me everything you publish. If you want an endorsement from a local expert such as myself I will be more than glad to give it. Hi Rick, pleasure to meet you. We have been here in the O.C. since 1988 (Irvine) with our mortgage company. It’s been an interesting cycle this time around. You can get my articles emailed to you if you sign up for that. I write about once a month and add a few interviews on here. I just did one with the Wall Street Journal and should have another Bloomberg one soon. Working on CNBC. You can sign up for my articles and they will get sent to your email right away.